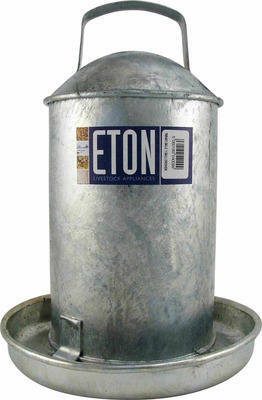 This is a Galvanised Traditional Poultry Drinker in a 3 Gallon size. This drinker will provide your poultry with a drink and will allow a few chickens to drink at the same time. It is heavy duty and has a double skin to ensure that it remains durable. For the larger flock e.g 10+ chickens.